A traditional and very popular main meal served on Sunday, originating from when people would eat a large meal after church services. 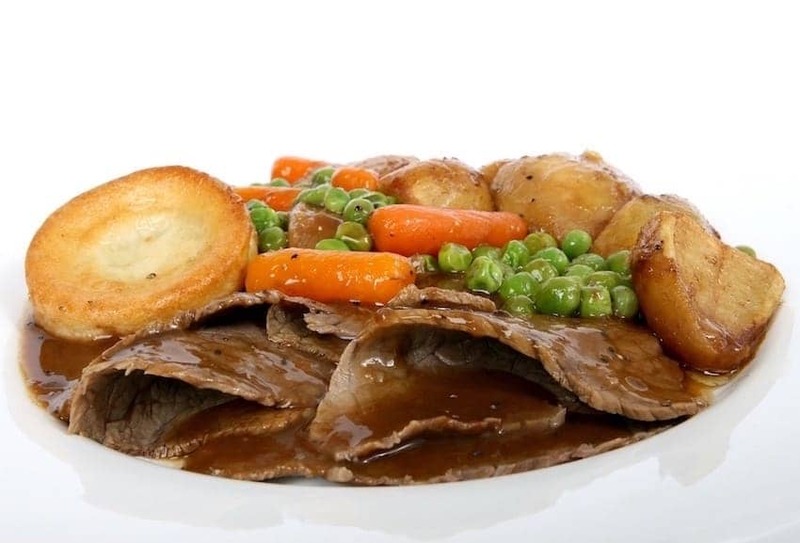 It consists of roasted meat and roast potato, with accompaniments such as Yorkshire pudding, stuffing, vegetables and gravy. Vegetables such as roast parsnips, brussel sprouts, peas, carrots, runner beans, broccoli are included and can be cooked in different styles.